[HD video and podcast below] Over 6,500 people from more than 20 countries visited the Ocean Marina Pattaya Boat Show in Thailand from 29 November - 2 December 2018. New in-the-water this year was the Jeanneau NC33, which recently cruised up the Chao Phraya River in Bangkok to celebrate the launch of mega shopping mall Icon Siam, and Sunseeker were exhibiting for the first time promoting their range of yachts and new luxury Sunseeker charter operation, Platinum Cruises. From trailer boats to Superyachts, there was something for everyone at the show, and the increased water sports presence this year proved popular with Jetskis, sea scooters and more, as well as Mr Boatman displaying kayaks and water toys, daily JetSurf demos, and a JetSurf competition on the weekend that saw 30 riders from more than six countries compete. The successful free yacht cruises operated by Ocean Marina Yacht Club were busy throughout with visitors having the chance to go out on-the-water and get a taste of what a boating lifestyle is all about. 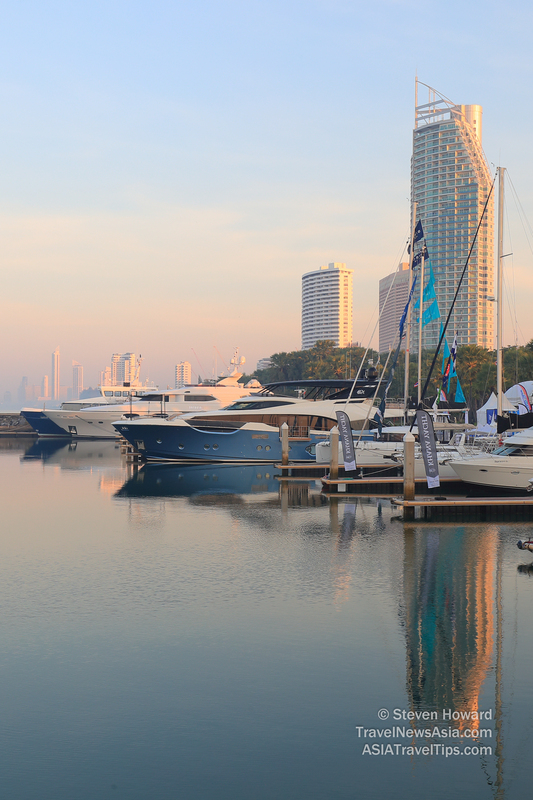 The eighth Ocean Marina Pattaya Boat Show will take place 28 November to 1 December 2019. Latest videos and podcasts: Hong Kong Disneyland - Exclusive Interview with VP, Ibis Hong Kong North Point, Ibis Hong Kong Central & Sheung Wan and Pictures from the 2019 Cathay Pacific / HSBC Hong Kong Sevens. See latest HD Video Interviews, Podcasts and other news regarding: Ocean Marina Pattaya Boat Show, Pattaya, Yachts, Sailing.